Longtime Apple users may remember Apple's first foray into the cloud storage and sync service, iDrive. A part of the MobileMe cloud suite, iDrive was a folder that lived on a user's Mac that would sync to the MobileMe service. On the Web, iDisk files could then be accessed, downloaded and shared via email. iCloud launched without any open, folder-based cloud storage and syncing option. Apple's own productivity apps have been able to sync and access the same "pool of files" across iOS and Mac devices, while third-party apps could sync data through iCloud in the background. iOS 8 and OS X Yosemite now ship with iCloud Drive, Apple's latest attempt to compete with the likes of Dropbox, Google Drive, Box.net, and many others. Apple's current iteration of iCloud Drive lacks many features offered by other services. 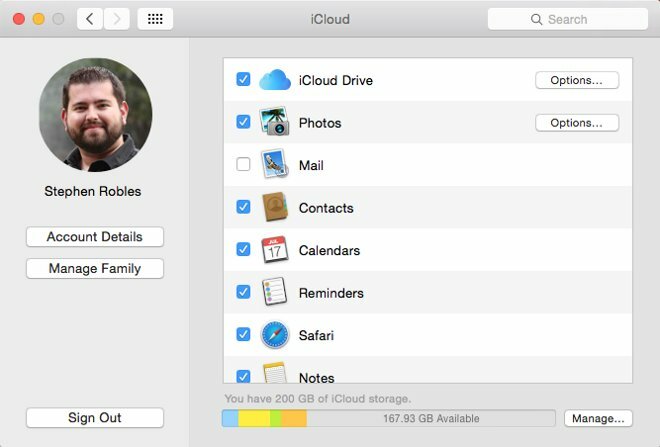 There are also significant bugs and quirks that make iCloud Drive difficult to manage. If you have not already updated to iCloud Drive, this can be done an any iOS 8 device or OS X Yosemite Mac. On iOS go to Settings > iCloud > tap iCloud Drive, then tap Upgrade to iCloud Drive. On your Mac, go to System Preferences, click iCloud, then select iCloud Drive. When asked if you want to upgrade to iCloud Drive, click Continue. Any Pages, Numbers or Keynote documents will be migrated to iCloud along with files from other productivity apps that previous synced with iCloud, i.e. Byword, Drafts, etc. To access your files in a Web browser, navigate to iCloud.com in either Safari or Chrome. 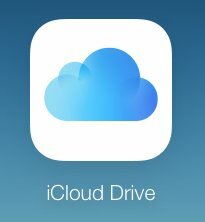 Once you've logged into iCloud, click on iCloud Drive. 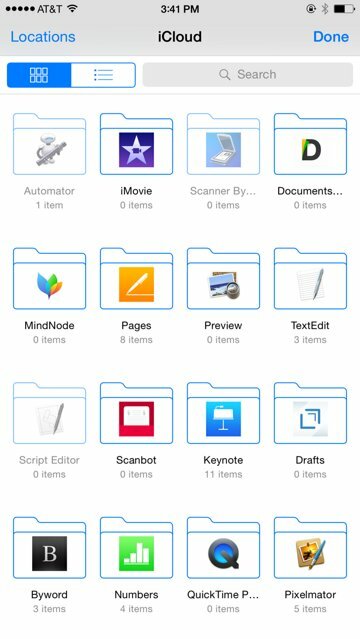 Users will be greeted by a thumbnail view of all their folders in iCloud Drive. One of the noticeable bugs is a lack of continuity with the folders you see here and those on your Mac or iOS device. For instance, here on the Web there is an empty "Mindnode" folder, an iOS app. On iOS and the iCloud Drive folder on OS X, this folder doesn't exist. Double click on any image file you have saved to iCloud Drive to open the raw image in a new tab. Opening a Pages, Numbers or Keynote file will open the Web versions of these applications. Users can edit, export and save these files from the iCloud Beta productivity suite. Application folders, like Pages, will only be able to manage Pages files. Users cannot upload an image file to the Pages folder for instance. User-created folders can contain a variety of file types. From the Web, users can upload new files to iCloud Drive or download them to a local machine. The share button will open a compose window and allow you to share even large files via email from your iCloud address. On OS X Yosemite, the iCloud Drive folder is located in the Finder sidebar. Users can move files to and from this folder as you can on the web. Files will sync in the background. Unfortunately there is no sync status, so there is no way to tell how much longer it will take to sync the files placed in this folder. Opening Pages, Numbers and Keynote files will launch the OS X apps to edit. To update which apps have access to your iCloud Drive, users can find this option in System Preferences > iCloud. Click the Options button next to iCloud Drive to bring up a list of Applications. If users choose to stop syncing an app's data through iCloud, uncheck the corresponding box. 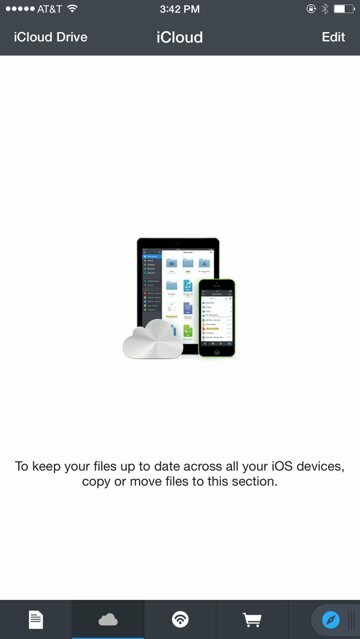 One of the major downfalls of iCloud Drive is a lack of any first party app to manage your files on iOS devices. 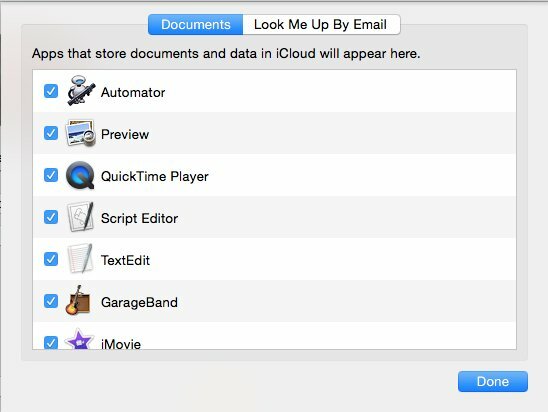 Some apps can open data from iCloud Drive, such as productivity apps, Pages, etc. If users want to see the folder view available on the Web and OS X, a third-party app is needed. 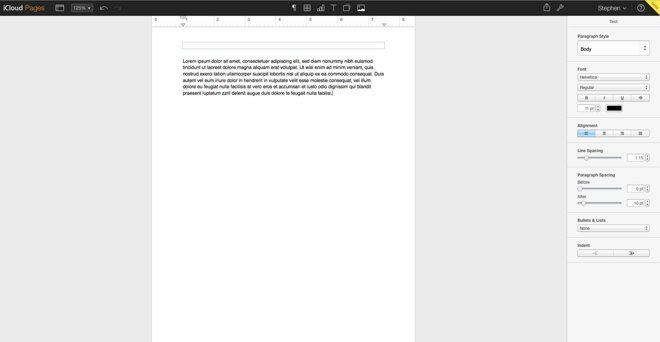 One of the best options for this is Documents 5 by Readdle. Available for free in the App Store, this universal app can connect to various cloud services including Dropbox, Google Drive and iCloud Drive. Download Documents 5 and give it access to iCloud Drive upon opening. Tap on iCloud Drive and you will see the full folder list available. From Documents 5, users can choose to open files in their respective applications or send to other third-party apps.